Home News Shatta Movement attacks NIMA leaving one in critical condition. Shatta Movement attacks NIMA leaving one in critical condition. Am soo disappointed after hearing about this shooting incident which occurred in NIMA, says Ghanian music artist, Tic Tac. 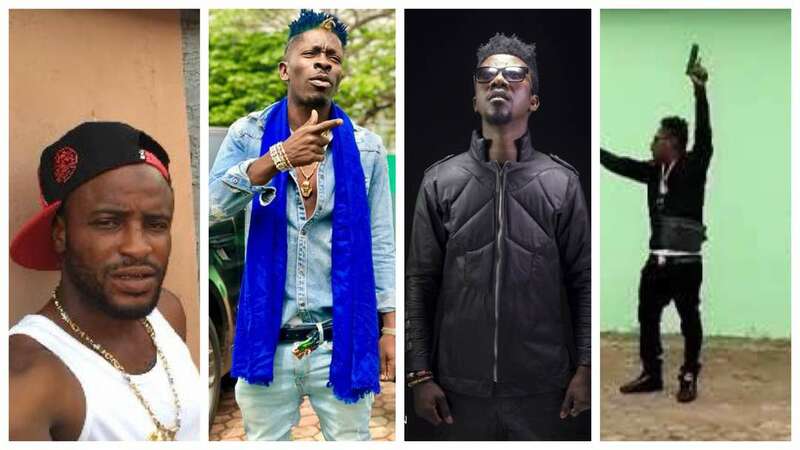 For some few days now, it’s been reported in the news about some gang group known as Shatta Movement, allegedly frontlined by musician Shatta Wale. Their last attack on some youth in NIMA have left one in a critical condition in the hospital battling for his life. Veteran musician Tic Tac has added his voice in aid to help apprehend the gang leader Kumoji who has reportedly taken to heels and have recently been reported seen in Togo. Tic Tac also referred to a video which circulated weeks back on social media showing musician Shatta Wale with a gun shooting to the sky whiles mentioning some names of musicians in Ghana including his (Tic Tac), which he reported to the Ghana police service to help check the situation but to his surprise he added nothing was made towards that request leaving the situation hugging. Am soo disappointed after hearing about this shooting incident which occurred in nima, when i first saw one Gh musician shooting in public and metioning names of other musician i personally called for the police to check on how the situation was going because i started smelling danger for our music biz untill today nothing has happened. You see everyone seem to be okay but am not, after reading this story am not surprised at all because i saw this coming. Now someone is shot just because of our neglegence ????? In Ghana we react after situation happens whiles we could have avoided it..... We are going to see the worse if we do not come to gether and stop this rot immediately. As it still stands now the Ghana Police Service has reportedly issued a press statement asking members of the public to help police apprehend Kumoji, stating that anyone with information regarding his location should notify the nearest police station so he can be apprehended.